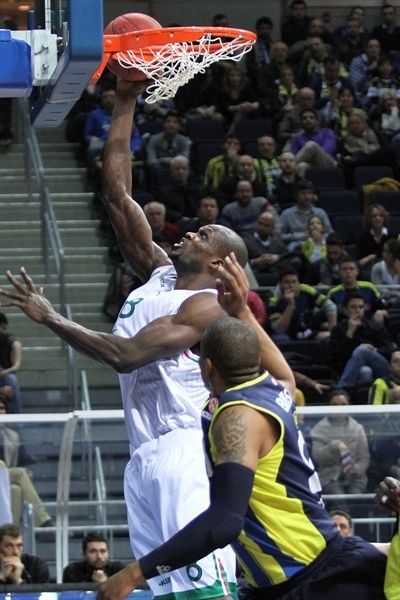 Bobby Brown was virtually unstoppable on Friday night in tying the Euroleague’s all-time single-game scoring mark and leading Montepaschi Siena to a come-from-behind 92-98 victory Fenerbahce Ulker Istanbul on the road. Brown scored 41 points to lead the Italian champs to their second-straight win, which keeps them tied for first place in Group F. Brown also dished 7 assists and was 13 for 13 from the foul line in racking up a performance index rating of 50, which is tied for sixth all-time. Fenerbahce led by 8 early in the fourth quarter, but Brown and co. heated up and took control. The game remained tight until Marco Carraretto made 2 free throws with 11 seconds left to put the visitors up two possessions and Brown sealed the win and tied the record with a slam in the closing seconds. 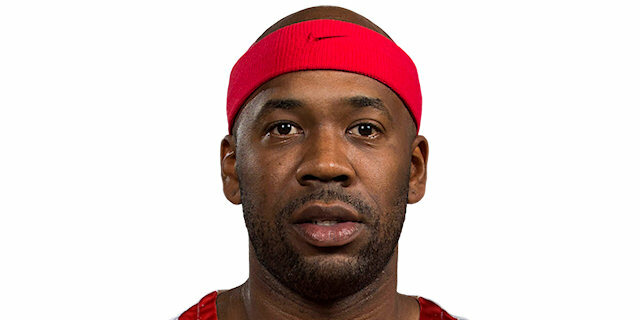 Brown, the first player to reach 40 points in five years, tied Alphonso Ford of Peristeri, Carlton Myers of PAF bologna and Kaspars Kambala of Efes Pilsen for the record. 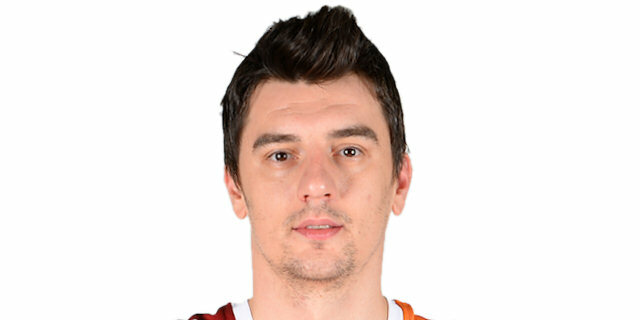 Viktor Sanikidze added 19 points and 8 rebounds for the winners. 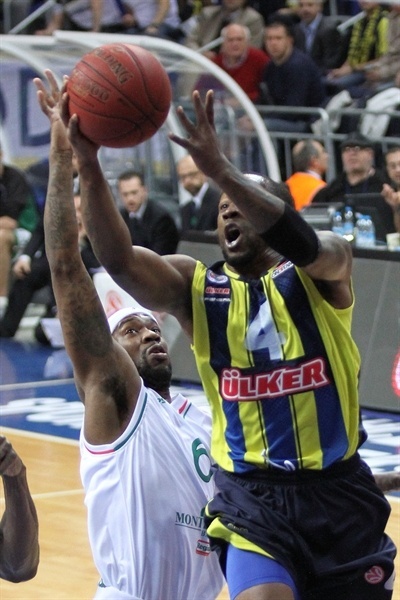 Bojan Bogdanovic led Fenerbahce with a career-high 31 points, Bo McCalebb added 17 against his former team before fouling out, Emir Preldzic tallied 15 points and 8 assists and Romain Sato finished with 11. 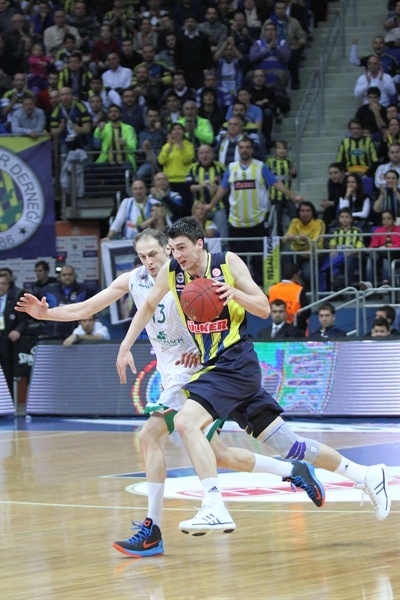 Ben Eze opened the scoring for the visitors on the offensive glass before Preldzic did the same for Fenerbahce. Sato gave the hosts their first lead with a jumper. It was soon tied again as Matt Jannining whipped a perfect pass inside to Eze. 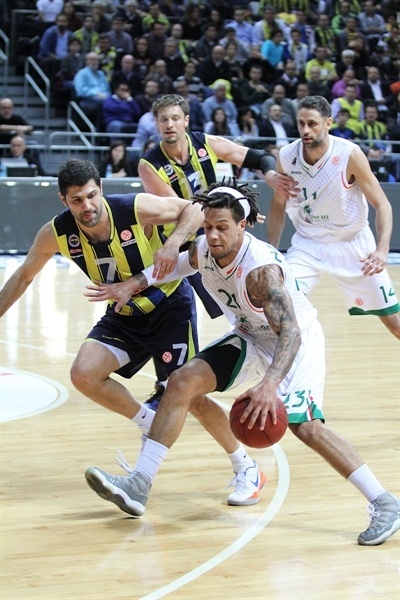 Sanikidze was active for Siena, but Mike Batiste kept things close. Bobby Brown heated up with a pair of triples, though a long jumper from Sato and a Bogdanovic three made it 15-16 midway through the quarter. Janning, with a tip-in, and David Moss extended the hosts to a 5-point lead. 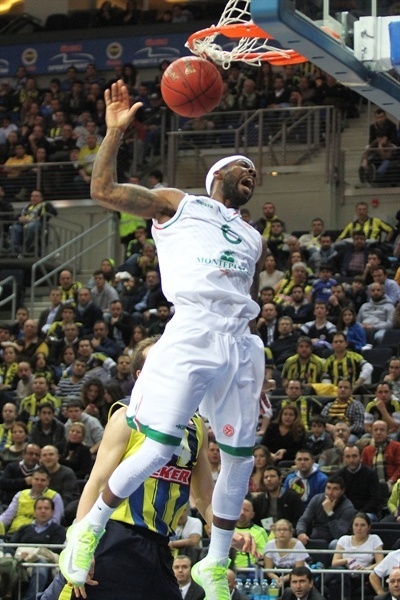 McCalebb brought the hosts right back with a pair of buckets, but the Sanikidze show continued with a high-flying tip-in. McCalebb showed his fearlessness with another drive inside, but Brown penetrated and fed Sanikidze for the latter’s 10th point. Sato nailed a triple to even things at 26-26 through 10 minutes. David Andersen drilled a baseline jumper as the hosts went on top, but it was short-lived: a Moss jumper and Brown finger roll made it 28-30. However before long, Andersen sank a fadeaway in the paint and the hosts held a 2-point edge. McCalebb brought the crowd to life by soaring for a tip-in to put his team ahead 35-32 midway through the quarter. Daniel Hackett, first with a long two-pointer and then with a drive through the Siena defense kept Siena rolling, but Bogdanovic answered each time. Kristjan Kangur nailed a three and then Hackett picked up a loose ball and darted to the basket to give his team a 40-41 advantage. The teams seemed to swap leads on nearly every possession over the next few minutes, with Brown and Preldzic playing big roles. Bogdanovic changed the trend with a triple and McCalebb made it stand up with a steal from Brown for a layup and a 51-45 halftime lead. McCalebb further extended the lead with a steal and layup in the first minute of the seconds half. Brown countered with a three-pointer before Bogdanovic scored his 20th point for the hosts. Brown matched – and surpassed – Bogdanovic from the line to make it 55-52. A steal by Janning allowed Brown to silence the arena with a loud and uncontested slam. Sato and Batiste gave the hosts a bit of a cushion again, 59-54. The scoring duel between Brown and Bogdanovic continued. Then Sanikidze scored his first points since the first quarter for Siena. McCalebb connected from downtown to make it a 6-point game. The TV timeout helped the hosts as McCalebb shined with a drive before Preldzic found Bogdanovic for his fourth triple of the night and Fenerbahce’s first double-digit lead, 69-58. 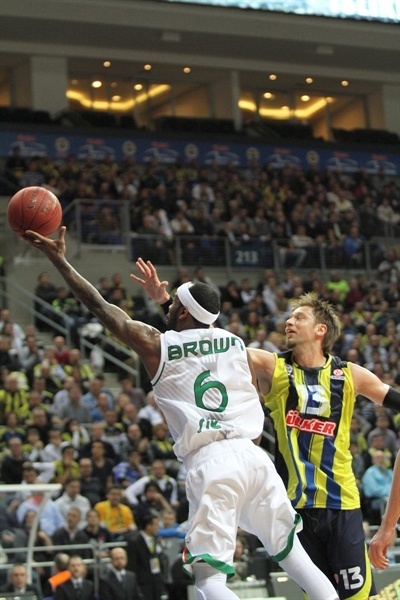 Brown and Sanikidze refused to let Siena go down without a fight. The former set up the latter for a three to close the gap to 71-65. Preldzic stepped up with a running hook; Brown answered at the other end. 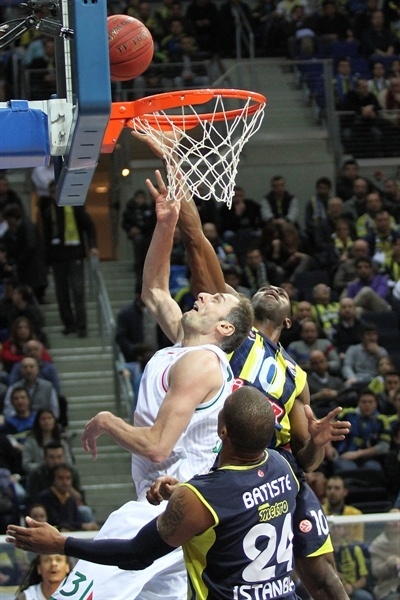 Sanikidze scored a second-chance basket to make it 73-69 through three quarters. Sato’s slam got the crowd roaring at 77-69, but Moss quickly hit a three from the corner to keep the visitors in the picture. On the next play, Omer Onan connected from downtown. Brown scored the next 5 points to close the gap to 79-77. Prledzic fired in a triple from the corner; Kangur matched him moments later. Preldzic then traded baskets with Hackett. Bogdanovic split free throws to make it 85-82 with five minutes to go. Brown, from the line, tied the game and eclipsed his league-high for scoring this season. Hackett drew Andersen’s fifth foul, which relegated the veteran big man to the bench and allowed Hackett to put the visitors up 85-86. Brown stepped up with a brilliant assist to a cutting Tomas Ress for a two-handed slam that silenced the arena. After a timeout, Preldzic brought hit team within 1. Kangur limped off the court with an apparent leg injury. Ress added 2 points from the line. Bogdanovic split free throws at the other end. McCalebb took a seat with 5 fouls and 51 seconds to go. Ress lifted the visitors to 88-82 with the resulting free throws. Bogdanovic nailed free throws, as did Brown. Preldzic found Bogdanovic for a slam to top the 30-point mark, but Marco Carraretto’s 2 free throws with 11 seconds left kept the visitors ahead by two possessions. Bogdanovic missed a deep three and Brown finished off the game with a slam to tie the all-time scoring record. "We played very well for most of the game, for 35 minutes, but it was not enough to win. Tonight we played one of the best games of the season. We lost the game in the critical last moments with small details. I can’t say that our defense was bad. We made mistakes in fouls, turnovers and free throws. Bobby Brown had an icrredible night. We did everything to stop him but we failed. Now we have to keep our heads up and look forward. We have to take care of the small details in the game. I don’t have any worries about the points that we conceded. It’s normal in these kind of games. Now we have a very important game against Maccabi Tel Aviv on the road." "Tonight we had a very important and well-deserved win against a very strong team. 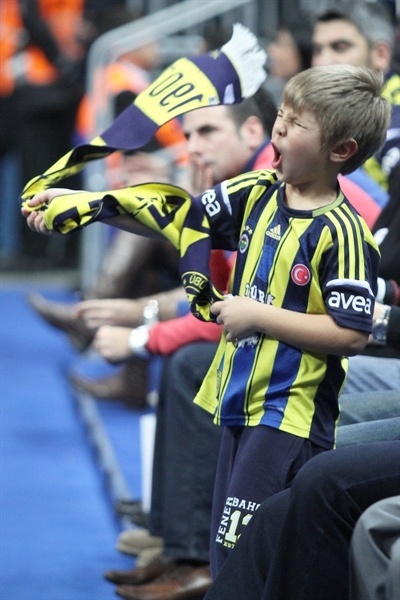 It was a very enthusiastic game in front of very enthusiastic fans in an excellent arena. It will be a good present to the fans of Montepaschi Siena as well. It was a balanced game in which everything could happen. We challanged well and never gave up until the end. We found the right person in the critical moments to score. We remained calm and patient. 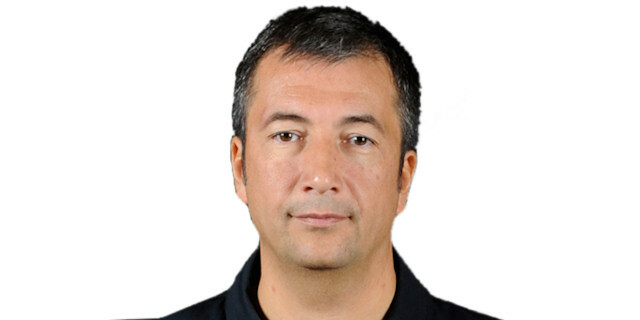 I want to congratulate all my players and staff and wish good luck to Fenerbahce Ulker in the future games." "We are very sad to lose the game that was in our hands. We were really good in offense and everything worked well. But I can’t say the same for our defense. Of course, Montepaschi is one of the best scoring teams this season. And Bobby Brown had an extraordinary night. But those were not the reasons for our loss." "It was a special night for me and my teammates. I’m happy to help the team to win. We did very well especially in the crunch time. We remained calm at the end and had a very important win on the road. But this is just the beginning. We still have plenty of games to play the same way."